Hip-hop superstar, Young Thug releases his latest EP, Hear No Evil via 300 Entertainment, Atlantic Records, and YSL Records. The 3-song EP that features appearances from Nicki Minaj, Lil Uzi Vert, and 21 Savage. After taking a vow of "musical" silence, Thug has now decided to release music and an accompanying sign language video for "Anybody Ft. Nicki Minaj" in honor of his deaf brother and fans with hearing impairments. 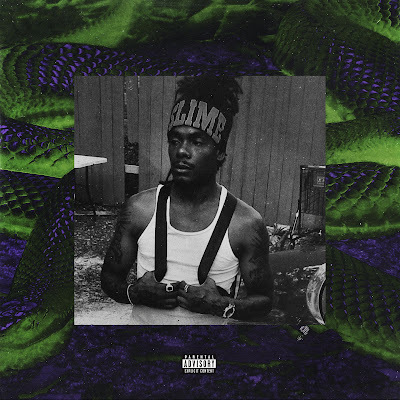 Hear No Evil is Young Thug's first project of 2018 since his collaborative mixtape with Future, Super Slimey. Along with starring in a star-studded Adidas campaign, Thug reached #1 on the Billboard Hot 100 Charts because of his contributions to Camila Cabello's breakout single, "Havana." Just last year, Young Thug received an MTV Video Music Award for his brilliant "Wyclef Jean" music video and released the critically-acclaimed Beautiful Thugger Girls EP. Young Thug is slated to perform at the Rolling Loud Festival on May 11th in Miami, FL, USA. Take a listen to Young Thug's Hear No Evil EP and check out the "Anybody" sign video.